Broiling ruins vegetables. It steals away flavor and nutrients and produces bland things that everyone hates. There is a reason that vegetables have a bad reputation. Grilling intensifies vegetables. It keeps the nutrients intact and adds flavor. These recipes take vegetables to a whole new level, so fire up the grill and make the most of the least expensive foods at your local grocery store. 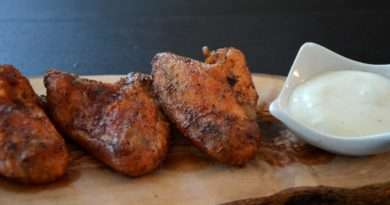 Looking for a low carb, ketogenic friendly alternative to potato skins? Well look no further. The best part is that these can be cooked right on the grill. 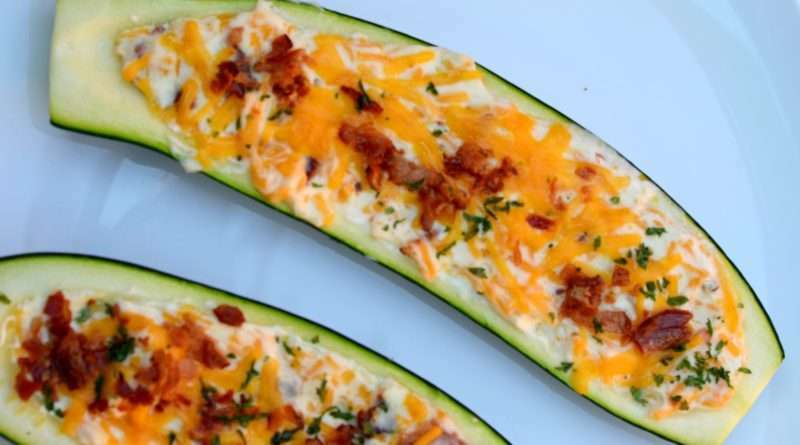 These stuffed zucchini’s make a delicious side dish and is quite fast and easy to prepare. 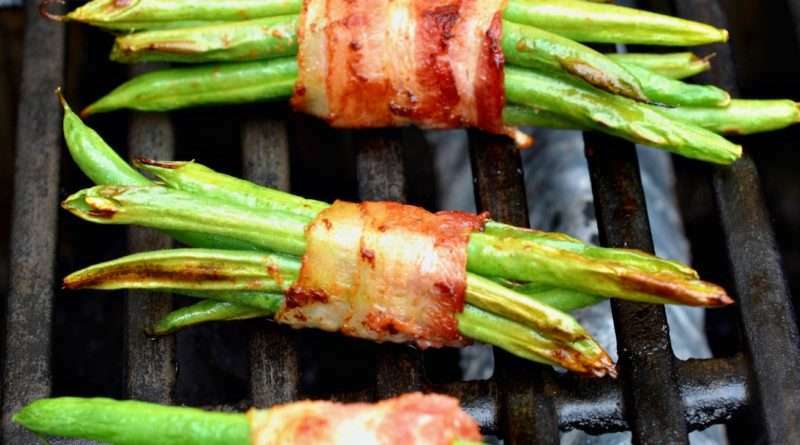 These green bean bundles are simple to make and easier to grill than you’d think. Make sure that the beans are all equal in length and to purchase a thinner variety of bacon. This makes a fantastic side dish, and let’s be honest, bacon just makes everything better. 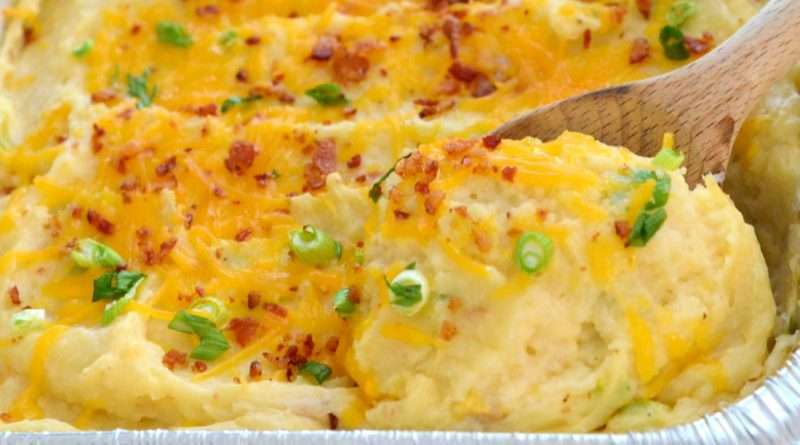 With its creamy, delicious, bacony goodness, who can resist this twice baked potato casserole. Definitely a great comfort food item that is also makes a perfect side dish for holiday meals. Sweet potato nachos are so easy to make on the grill. 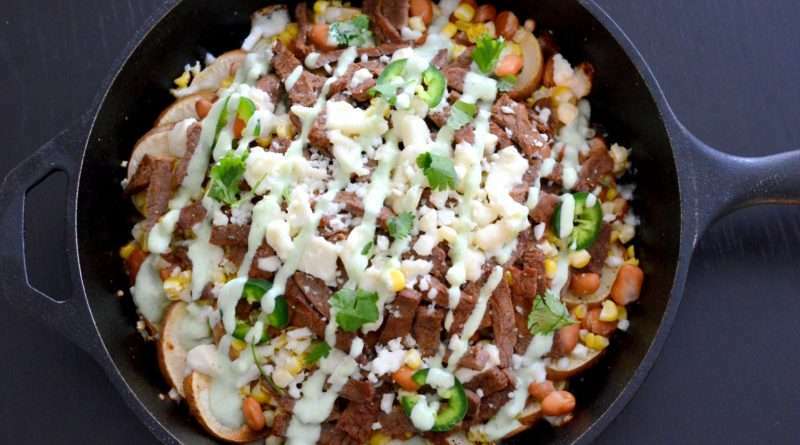 This recipe uses both a cast iron skillet and the grill to complete the whole meal. While the potatoes are cooking, the steak, corn, onions and peppers are grilled, chopped and added to the skillet. Topped off with a creamy sauce for the perfect finish. This Southern staple is the perfect side to grilled or barbecued meats. A welcome favorite for potlucks, parties, cookouts, and on game day. Over the years, these large, crisp onion rings have grown in popularity. Many fans swear that these are the best onion rings in the country. This recipe is my take on Kansas City onion rings. Serve along with a half slab or ribs and generous helping of beans for a delicious barbecue meal. 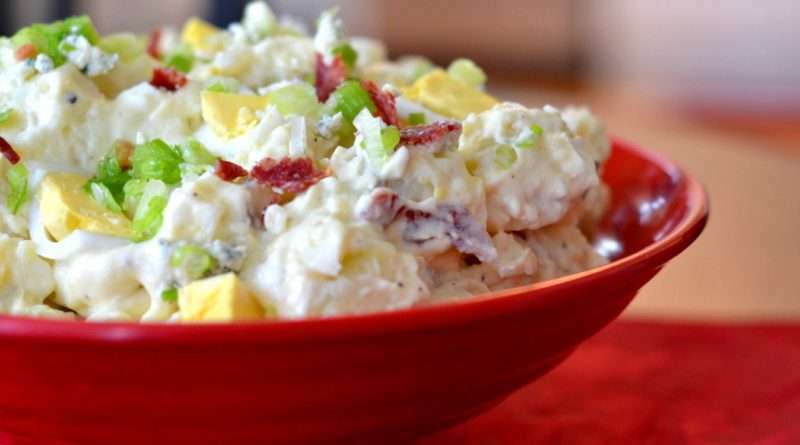 Picture a loaded baked potato, Now picture it in potato salad form. This is exactly what you’ll get with this recipe. In my opinion, one of the best potato salads I’ve ever eaten. This is one tasty comfort food casserole. This dish can be served any time of the year and for any occasion. This is hands down one of my favorites and I guarantee that you will love it too.